Georges Rouault, Plate 3. 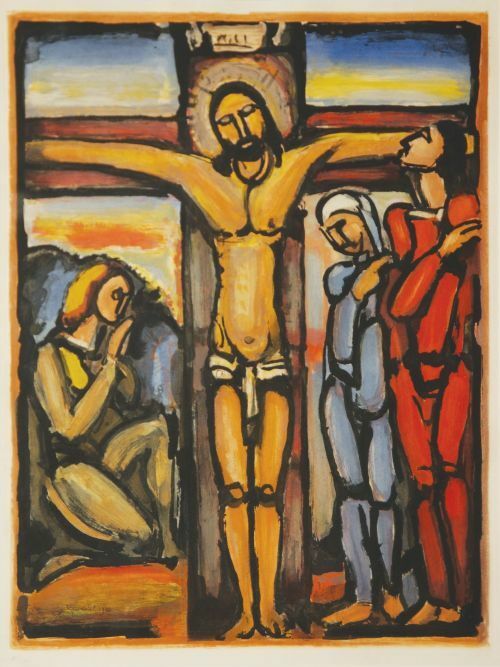 The Crucifixion, 1936. Aquatint, roulette, and drypoint over heliogravure. Collection of Robert and Sandra Bowden.